What Do I Keep Paying? When to stop paying your bills and what bills to stop paying is often a confusing topic in bankruptcy. The easy answer to this question is that you should continue to pay for whatever you want to keep. However, this is such a complicated question, we have provided a five-part series on this question as a way to provide as much guidance as possible. First, we should discuss which bills you must continue to pay. No matter what the circumstances are in your case, you must continue to pay child support and/or alimony, if those obligations are court-ordered. It does not matter if you are filing a Chapter 7 bankruptcy or a Chapter 13 bankruptcy, if you are obligated to make child support payments, you need to be maintaining those payments each and every month. Your bankruptcy filing could slow down collection efforts; however, ultimately you will be held accountable for keeping these obligations up-to-date in the Court that ordered these payments. If this becomes too difficult, schedule a free initial consultation with one of our attorneys to discuss possibly modifying your monthly chlid support and/or alimony obligations. If you have a 401(k) loan at the time of filing, it will continue to be deducted from your wages, along with whatever regular contributions you had in place at the time of filing. The loan is considered a secured debt as it is “secured” by your 401(k) account. 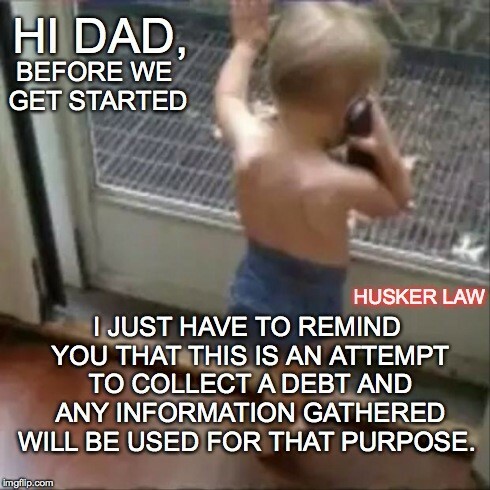 This debt will continue to be owed after your other debt is discharged. Unlike other secured debts, a 401(k) loan will not stop during the course of your bankruptcy. It will just continue to be deducted from your wages as you and your 401(k) servicer had previously agreed. This is a very complicated subject and should be discussed in detail with your attorney. However, generally speaking, you will continue to pay your tax liabilities. You will certainly continue to be required to file your State and Federal tax returns each and every year. Our office has a very keen understanding of tax issues and we can discharge certain taxes as well as settle certain tax obligations for a lesser amount. Because taxes are a very important debt and there are a number of options available to you, we strongly urge you to discuss whether or not you have to continue to pay this obligation with your attorney in detail.